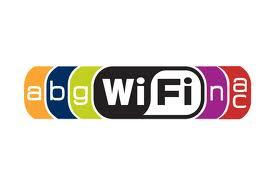 > Tech News > New WiFi standard which promises up to 1.3 Gigabit per second! New WiFi standard which promises up to 1.3 Gigabit per second! We are excited about a new Wifi standard which promises up to 1.3 Gigabit per second! The next iEEE standard is 802.11ac and will be a big improvement over 802.11n which only delivers up to 300Mbps. Broadcom introduced the first 802.11ac chipsets at CES. The new standard will combine beam-forming, multiple antennas and wide bands to deliver a broader range and better battery like for client machines by requiring less power from mobile devices and clients. The new 802.11ac is said to have a much better wall and obstacle penetration abilities. This type of technology could lead to the reduction of access points that cover a given area and should bring lower management and investment costs with it. Broadcom predicts that devices will begin to ship in the third quarter of this year! Strong sales of this new technology are expected as it should deliver solutions to companies who have turned away from WiFi because of costs or performance and speed.